John Margetis specializes in neurologic and critical care rehabilitation with clinical interests in vascular/acquired brain injury, stroke, neuroimaging and neurocognitive dysfunction. In addition to providing direct patient care, Dr. Margetis mentors fellow faculty members, doctoral residents and Levels I and II fieldwork students. 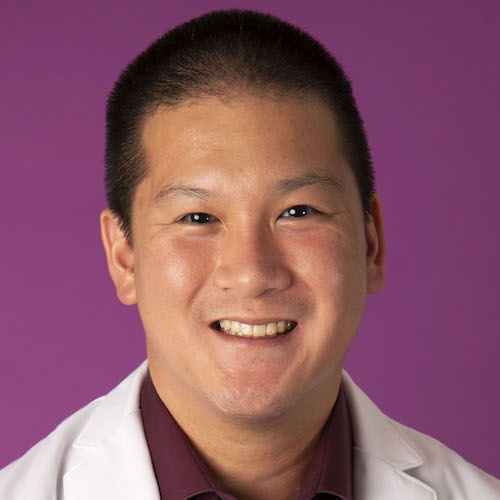 During his doctoral residency he authored a position paper defining the role of occupational therapy in acute care settings, and has been an invited lecturer on congenital amputations at USC and Children’s Hospital Los Angeles. Objective. To investigate the association between optic nerve sheath diameter (ONSD) in malignant middle cerebral artery (MCA) strokes, progression to decompressive craniectomy and mortality outcomes. Background. Malignant middle cerebral artery (MCA) stroke is a life-threatening condition with reported mortality of 80%, due to space-occupying cerebral edema and increased compartmental intracranial pressure (ICP). In current practice, decompressive craniectomy is known to improve mortality and functional outcomes. However, patient selection for surgical intervention can be difficult at times. Use of non-invasive surrogates for ICP could be valuable in managing malignant MCA syndromes. One possibility is through ONSD measurements, which has been shown to correlate to elevated intracranial pressures (ICPs) in studies across adult and pediatric patients. Currently, its utility in MCA syndromes has yet to be defined. Design/Methods. 136 CT scans (1–6 per subject) from charts of 62 patients in a tertiary academic center were reviewed using previously published methodology. The outcomes of malignant MCA strokes were examined by utilizing mixed effects models to evaluate daily rate of change in optic parameters between deceased and non-deceased groups, craniotomy and non-craniotomy groups. Results. Daily rate of change in optic parameters were significantly greater in deceased patients than non-deceased patients (0.16 vs −0.001μm/day, p=0.056 for ipsilateral optic nerve sheath (ONS); 0.32 vs −0.001 μm/day, p<0.0001 for contralateral ONS; 0.24 vs −0.0001 μm/day, p=0.0007 for averaged ONS, respectively). Daily rate of change in optic parameters did not differ significantly between craniectomy and non-craniectomy groups (0.036 vs 0.045μm/day, p=0.88 for ipsilateral ONS; 0.02 vs 0.07 μm/day, p=0.34 for contralateral ONS; 0.03 vs 0.06 μm/day, p=0.60 for average ONS, respectively). Conclusions. A greater rate of change in ONSD is associated with greater mortality. Curiously, the rate of change of ONSD was not significantly affected by surgical intervention, possibly indicating that ONSD is indicative of cerebral edema and not necessarily ICP. Our experiences with others affect how we perceive their actions. In particular, activity in bilateral premotor and parietal cortices during action observation, collectively known as the action observation network (AON), is modulated by one's expertise with the observed actions or individuals. However, conflicting reports suggest that AON activity is greatest both for familiar and unfamiliar actions. The current study examines the effects of different types and amounts of experience (e.g., visual, interpersonal, personal) on AON activation. fMRI was used to scan 16 healthy participants without prior experience with individuals with amputations (novices), 11 experienced occupational therapists (OTs) who had varying amounts of experience with individuals with amputations, and one individual born with below-elbow residual limbs (participant CJ), as they viewed video clips of goal-matched actions performed by an individual with residual limbs and by an individual with hands. Participants were given increased visual exposure to actions performed by both effectors midway through the scanning procedure. Novices demonstrated a large AON response to the initial viewing of an individual with residual limbs compared to one with hands, but this signal was attenuated after they received visual exposure to both effectors. In contrast, OTs, who had moderate familiarity with residual limbs, demonstrated a lower AON response upon initial viewing-similar to novices after they received visual exposure. At the other extreme, CJ, who has extreme familiarity with residual limbs both visually and motorically, shows a largely increased left-lateralized AON response, exceeding that of novices and experienced OTs, when viewing the residual limb compared to hand actions. These results suggest that a nuanced model of AON engagement is needed to explain how cases of both extreme experience (CJ) and extreme novelty (novices) can result in the greatest AON activity.